Recently my girlfriend & I watched a movie that I had been wanting to see for awhile. I have eclectic taste in movies & this one caught me eye. Samsara is a visual journey, with no dialog or narration. There is a wealth of spectacular imagery of people & places around the world. 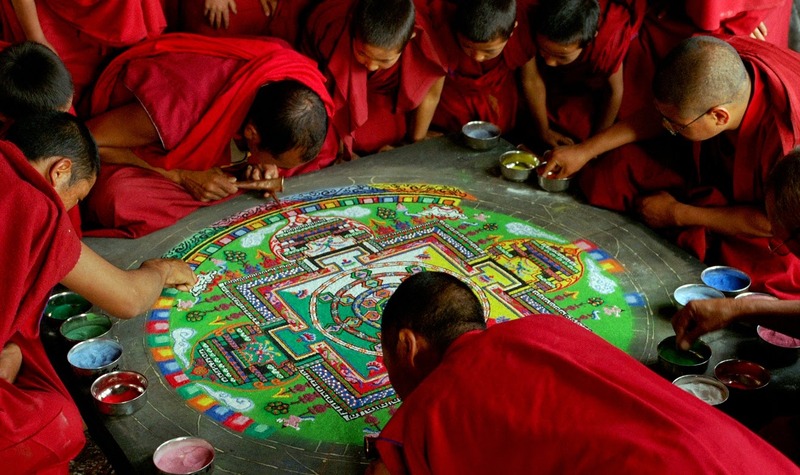 It is really a meditative work of visual art that features other examples of human spirit & creativity, such as the activity of making a Tibetan Sand Mandala. This is an expression of impermanence that is destroyed after many hours of meticulously forming grains of sand into a complex composition. The word "Samsara" means the endless cycle of birth, death, & rebirth- along with the karma (or consequences) that come from our thoughts & actions. Samsara is also used to describe the transient qualities ever-changing world around us, with all its imagery, sounds, and experiences. In this context, it usually refers to the tendency of the world & it's myriad qualities to trap us in the karmic cycle of life & death. There are interesting thematic threads woven throughout the footage of the movie. One striking part of the film that I didn't expect was the juxtaposition of factory workers & industrialized farming. There are many more interconnections between the many sights & visual elements presented in the movie. It's something that needs to been seen, & not described. 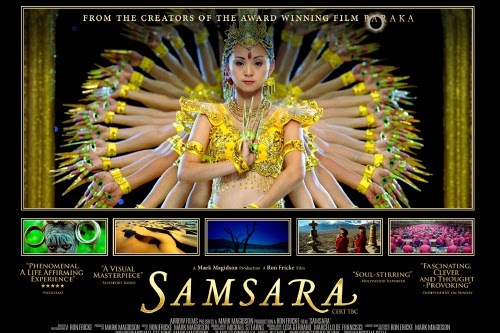 I'd definitely recommend Samsara to anyone who would appreciate watching a rich tapestry of visual imagery, in a thought-provoking look at humanity and the world around us. small, pale, big-headed. and with unfathomable technology. 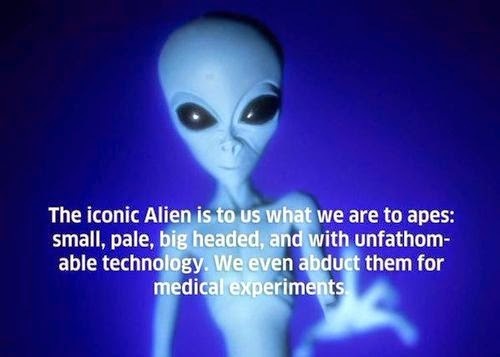 We even abduct them for medical experiments." If alien abductions (of the medical experiment kind) are true, then this graphic I saw on fUSION Anomalog is pretty accurate. Humans would just be a relatively primitive species, being studied by a more technologically-advanced bipedal species. I've had had vividly realistic dreams about encounters with alien spacecraft & extraterrestrial beings, and I wouldn't be surprised if many abduction reports are actually a terrifying combination of lucid dreams & sleep paralysis. I also suspect that there is also a role to be played by the subconscious re-living the experience of birth. Many of the feelings of helplessness & terror associated with these encounters could be remnants of our feelings as a baby. Perhaps it is a resurfacing of memories of being brought out into the bright lights & clinical setting of a hospital room. 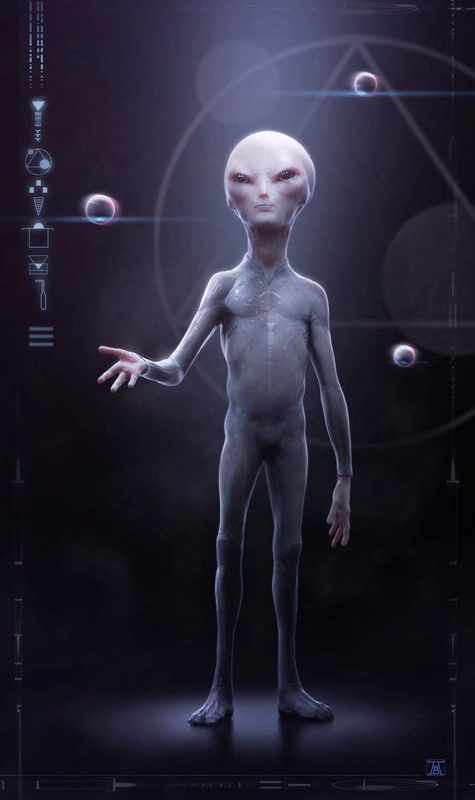 The classic 'grey alien' archetype seems to be like a future, hairless version of human beings- or perhaps it could be a genetically-related species that has evolved parallel to us, but in a divergent way to have major differences from us. I wouldn't be surprised if our planet was like a zoo, for more advance beings to visit and observe. If such beings were able to exist in other dimensions, their appearance & function might even be beyond our current ability to comprehend. It's absurd to think that there is no life anywhere else in the Universe. In fact, Life probably exists throughout the cosmos, in an endless array of shapes & sizes. Anyone wondering what other forms living things could take, just need to look at the variety on Earth to see the countless possibilities. It's conceivable that races from other star systems could have a similar anatomy to us humans. However, I think alien beings could be much more incomprehensible in form than a familiar humanoid shape. There's no reason why they'd have to so closely resemble us. I saw that NASA recently released yet another awesome Hubble image. Astronomers have counted about 30,000 stars in this photo, but it is only a fraction of the millions of stars that this galaxy likely contains. It looks like there's a lot of stars in this image, but most of them are actually too faint to be seen, even by the Hubble telescope. When I look into a photo like this, my mind reels at the immensity and vastness of our cosmos. 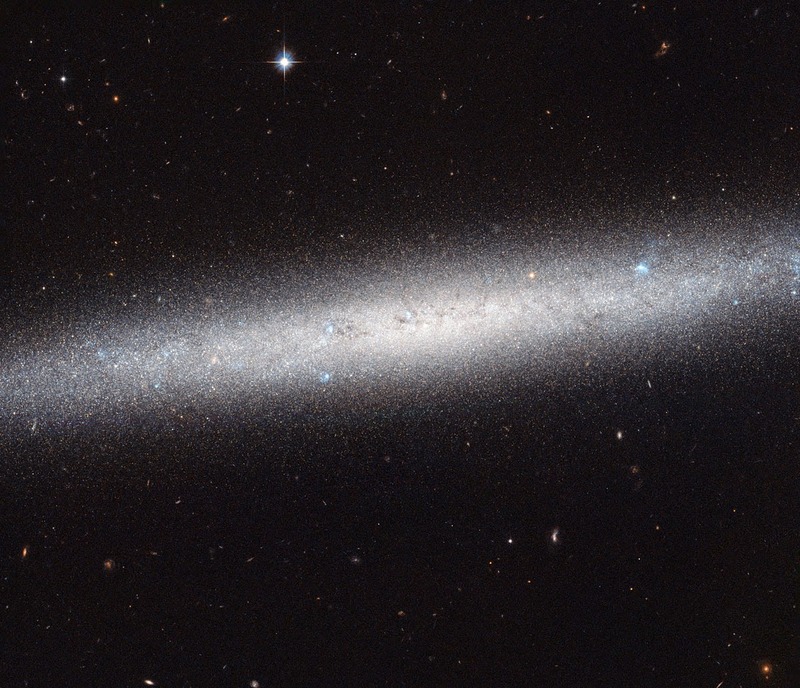 This galaxy alone has millions of stars, probably billions of planets, and countless other bodies & features... and it is only one single galaxy, out of 100 billion. We are each a point of consciousness in this endless sea of creation, manifesting out of the practically infinite fractal Universe. Our reality is defined by our sensory input- hearing, vision, taste, touch, smell, and any other signals sent from our body to our brain. Our central nervous system is encased in blackness, & our experience of the Universe is determined by the signals sent from our sense organs. We usually don't think about the extremely limited scope of our perceptions. Human beings are only picking up on a small portion of the world around us. There are signals all around us that we are completely unaware of, without the use of tools or devices. For example, the visual light that our eyes can see is a tiny slice of the overall electromagnetic spectrum. Similarly, our ears only hear a certain frequency range of vibrations in the air that we perceive as sounds. 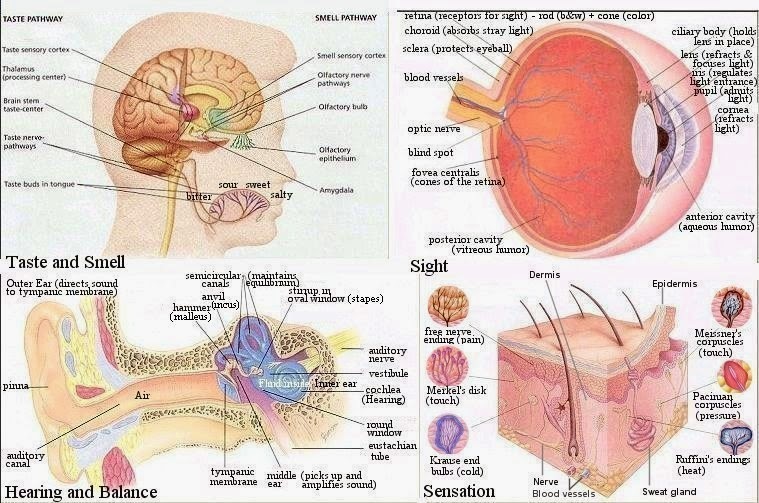 These are limitations of the senses that we do have. There is a vast amount of information that we are not equipped to sense at all. Other forms of life have organs that can sense environmental cues to which we are totally oblivious. • Bats use sound waves to visualize objects in 3D space for echolocation. • Snakes can detect infrared wavelengths to sense heat signatures. • Birds have specialized cells that detect their orientation to the planet's magnetic field. • Bees can see ultraviolet light reflected off flowers. The other night, I was watching an excellent TED talk by neuroscientist David Eagleman about using technology to augment our perception of reality, by facilitating new sensory inputs. His premise was that the brain is capable of receiving sensory data from input other than our biological sense organs. The human brain is like an extremely adaptable computer, that can interpret signals from an unlimited number of possible "plug & play" devices. 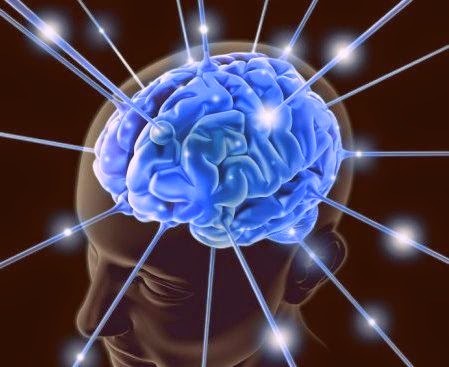 The brain has the astounding ability to take incoming data from unfamiliar sources & interpret it to help formulate an understanding of the world. Our minds are pattern-recognition systems with capabilities that we cannot even imagine. It's ironic that the brain doesn't not even know the limits of its own potential. In the future, is inevitable that people will continue to "hack" the senses, in order to expand the human experience & understand the world in new ways. People are already experimenting with ways to detect new stimuli in the environment. I've seen stories about individuals embedding magnets under their skin so they can detect the strength of electromagnetic fields. External sensing devices, neural implants, and perhaps even new biologically-engineered sense organs, will change how the mind can experience the infinite aspects of the Universe. Black And The Blues- "I'm Sad"
When my Dad (Big Paul) was a teenager in the 1960's, he formed a band with his childhood friends. The first band he was in was called "Black and the Blues". Their big influence was The Beatles, at the height of "Beatlemania". 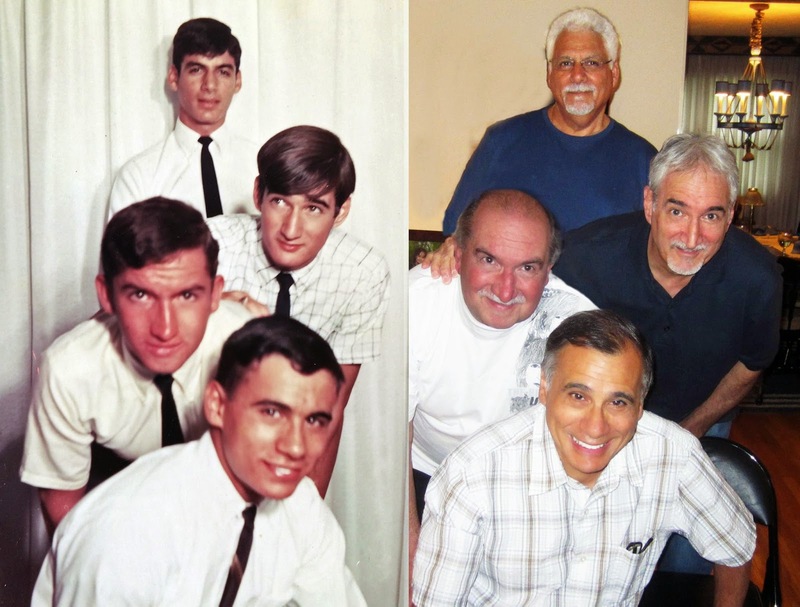 My Dad and some of the other guys went on to play together in other bands, too. Some of my earliest memories are of seeing my Dad playing music with "Snuffy" or "John, Paul, Kat Band". He still has some of the vinyl single records they had pressed. I used one of the records in a collage that I made for him for Father's Day. It had old photos of "Black and the Blues," that his friends had shared on Facebook. 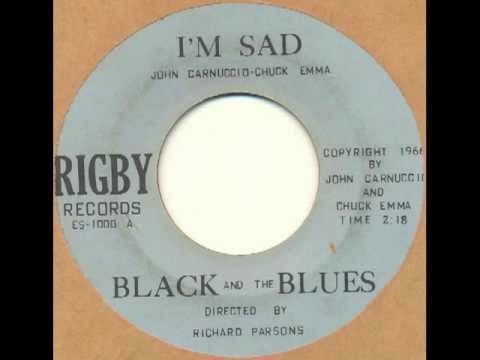 One of the band members, Chuck, came across their single, "I'm Sad" that someone has digitized & uploaded to YouTube. The person who uploaded the song also added some vintage 60's footage, that gives it a music video feel. The Black And The Blues- "I'm Sad"
My Dad is a very laid back guy. However, when my brother & I showed him the YouTube video, he lit up & was amazed that someone had put their old single on the Internet. Now, my father & his friends have achieved digital immortality, and their memories & music will hopefully live on into the future. My Dad's friend Chuck, another member of Black and the Blues, brought to my attention the fact that a live cover of the song was also on YouTube. The band, The Kumari, is from the UK and did a cover of the song at The Purple Turtle Bar. My Dad & his former bandmates were amazed that, not only did anyone know about the song, but that a modern-day band bothered to learn & perform it. In my professional career as a graphic designer, I get to work on alot of products for toy & game companies. I've helped design many products, their packaging, and marketing materials. I also have had my own ideas published, like the game Da Vinci's Challenge. Recently, I've been busy making prototypes of a few original concepts that I'm hoping to get to market. Even the process of creating a single new product takes many hours of planning, creative effort, testing, revising, and refining. Then, getting it manufactured and marketed is a whole separate process with its own challenges. 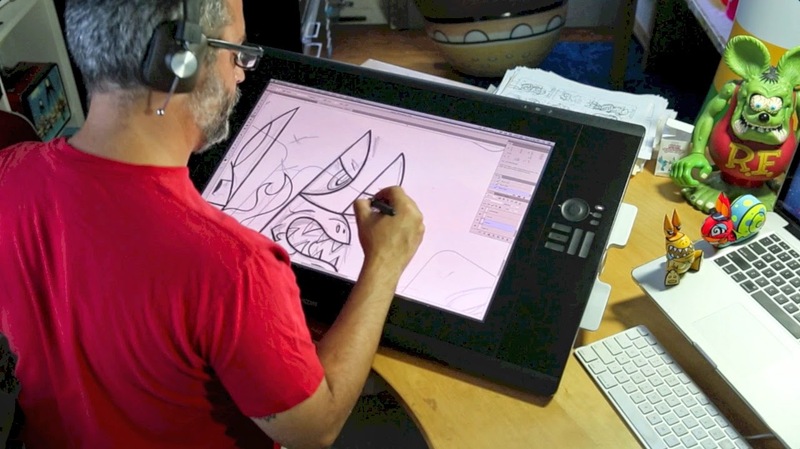 This video from toy designer Joe Ledbetter, that I saw on BoingBoing, is an excellent look at what goes into designing a product- in this case, vinyl toys. Recently I wondered if I could form a Yin-Yang symbol, using the black & white pieces for "Da Vinci's Challenge". "Da Vinci's Challenge" is a board game that I created as a college student, which was published in 2006. It is a strategy game that uses an ancient symbol, known as 'The Flower of Life' for the gameboard. "City of the Monkey God"
On Raw Story, I saw an article about the discovery of a lost city, the legendary "City of the Monkey God". At first, I thought it was a story about the Hindu monkey god, Hanuman, whom I've used as an avatar for this blog. 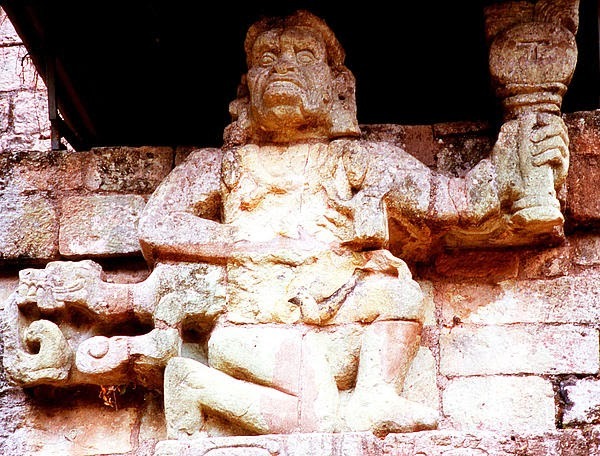 It turns out, the lost city is not in India, but in the Central American jungles of Honduras. These ruins have not been looted or disturbed in centuries. So little is know about the mysterious culture which lived here, that it has not been named yet. After legends about the city lingered since at least the 1920's, modern researchers launched a search for the "White City" of the monkey god. The site was discovered using lidar laser surveying, after a valley in the rain forest was identified as a possible location. This shows how the use of technology & our accumulated knowledge has helped unlock our past in ways that were previously unimaginable. I came across this interesting set of animated GIFs, showing MRI scans of various fruits & vegetables. We are expanding our perceptions, and therefore our consciousness, into previously imperceptible dimensions.